^ That's shameful. I *despise* how media focuses on his gaffes and has the gaffes overshadow literally everything else (and makes gaffes even out of non-gaffes! ): agendas of meetings, summits, wtf actually happens, state visits, literally everything in favour of gossipy trash talking Trump. Media's objectivity (if it ever existed - I daresay it never did) is totally out of the window, particularly when it comes to Trump. Trump has just to look as if he's about to set his toe wrong, never mind his foot, and media pounces like starved vultures. I wish they'd concentrate more on what's really important. These days I can't even watch a sitcom without incessant Trump mentions or political messages being sent all day I'm just glad they're not (i.e. have stopped) besmirching Melania (anymore). Btw just to clarify, I feel like I have to, I agree sleeves would look better, just like technically open toed shoes are a no-no in "polite society" and are against many dress codes (in work places, too, as again, seen as "inappropriate") so are sleeveless anything, but imo Melania carries the look well and pulls it off as opposed to Letizia, who's too skinny imo for her to work this look out on this occasion. Otherwise I like esp the colours on Leti. Felipe looks good as usual, and Trump would look better if he'd buttoned his blazer. I dislike Melania's blow dry though, that forward fringe. Imo her hair would look much better if the fringe part would be blow dried to the side or back, like it usually is, I've never seen the front part blow dried like that on anyone else. ^So let me get this straight: You think it's shameful that the media is covering an international human rights situation that is taking place on our soil and involves children, some of which are toddlers and infants, rather than tea with a head of state? And before any of you try to come at me, I'm very involved in the court system so I am very aware of what I'm talking about, and not going off sound bits from one or a handful of media outlets. ^^ I agree that Melania looks much better with her sleeveless look than Letizia does. Part of the reason for me is that Melania's dress has more material on the shoulder that comes closer to the arm than Letizia's does. 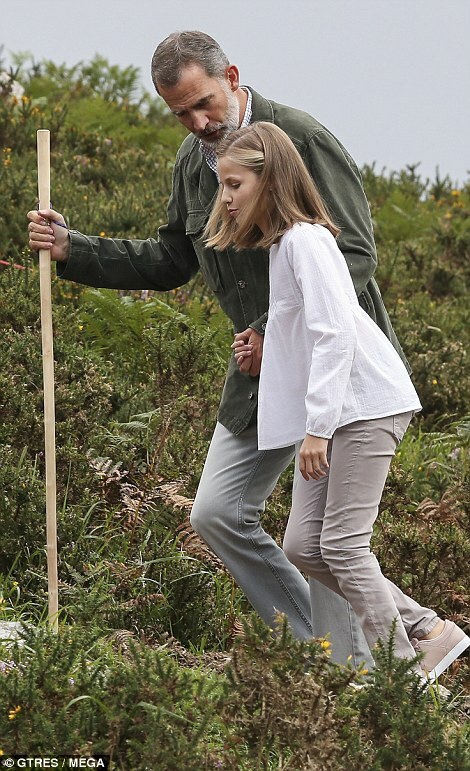 As you said, Letizia is very skinny and would probably not look as good in a dress like the one Melania is wearing. ^^ No, I didn't mean that one at all nor did I imply to that. That one is beyond reprehensible, and the fact that small children, or any children - regardless of age, are separated from their parents is sickening and needs to be addressed asap and with all seriousness. That this happened at all is frankly stupefying. Trump and his administration, as well as government officials, fck up big time (all the time), no question about that. And these situations must be addressed & dealt with. This is imo as true as what I said earlier on media and Trump. Un día vas por el mercado y, de repente, ¡te las encuentras! 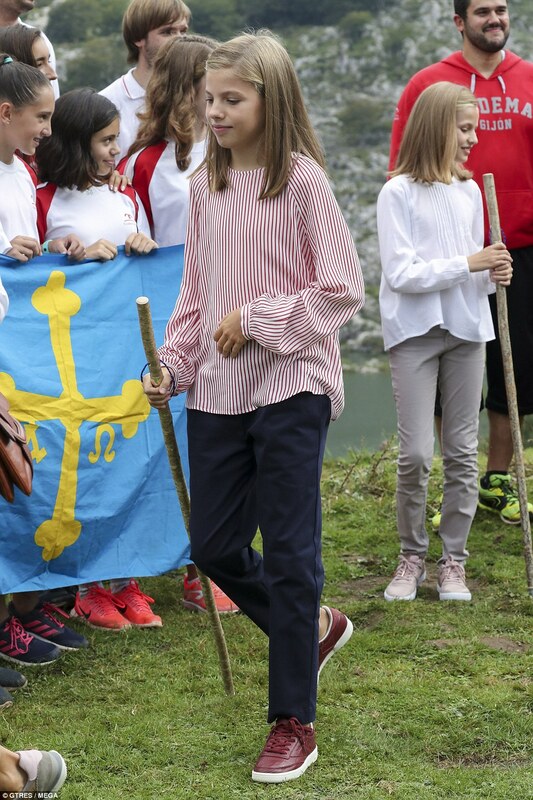 La reina Letizia, la reina Sofía, la princesa Leonor y la infanta Sofía, como nunca las habíamos visto, en su recorrido por el Mercat de l’Olivar. La imagen del día y la que probablemente marque este verano real ha sido la de la reina Letizia y la reina Sofía, junto a la princesa Leonor y la infanta Sofía, en el Mercado de L'Olivar en Palma de Mallorca. Como cuatro turistas más, han disfrutado de un agradable paseo y se han parado en una pescadería, donde se han interesado por los productos que se exponían.